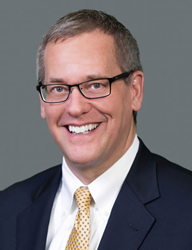 Attorney David W. Clark of the Law Offices of David W. Clark is proud to announce that the DuPage County Bar Association named him its 2018 Lawyer of the Year. Attorney David W. Clark of the Law Offices of David W. Clark is proud to announce that the DuPage County Bar Association named him its 2018 Lawyer of the Year. He formally received the award during the DCBA’s 2018 Awards Ceremony and Officer Installation on June 7 in Naperville. Wheaton, Illinois, attorney David Clark is the founder, owner and sole practitioner of the Law Offices of David W. Clark. He has more than 25 years of legal experience and focuses his practice on the areas of personal injury, workers' compensation, and limited scope representation. Clark is an active member of the DCBA, currently serving on the Lawyer Referral Service oversight committee, Public Interest and Education Committee as well as the DuPage Bar Foundation. Clark received the prestigious Award for Excellence in Pro Bono Service in 2012 from the United States District Court, in conjunction with the Chicago Chapter of the Federal Bar Association. He has earned a 10.0 Superb Rating as a top personal injury attorney from the AVVO lawyer rating service. Clark received his undergraduate degree from Indiana University-Bloomington in 1989 and his juris doctor law degree from Loyola University of Chicago School of Law in 1992. In addition to the DuPage County Bar Association, he is a member of the Illinois State Bar Association and the Illinois Trial Lawyers Association. He is a volunteer with Administer Justice and works with their Legal Aid Clinic. Outside of his legal work, Clark is a former Boy Scout Leader and proud member of the Boy Scouts of America having earned the rank of Eagle Scout in 1982. He is an active member of Wheaton Bible Church and an accomplished marathon runner and triathlon participant. Wheaton, Illinois, attorney David W. Clark has more than 25 years of legal experience serving clients in personal injury and workers’ compensation cases. Through the Law Offices of David W. Clark, he has helped his clients obtain settlements and verdicts ranging from thousands to millions of dollars. To schedule a free consultation, call 630-665-5678 or visit https://www.dwclawoffice.com.